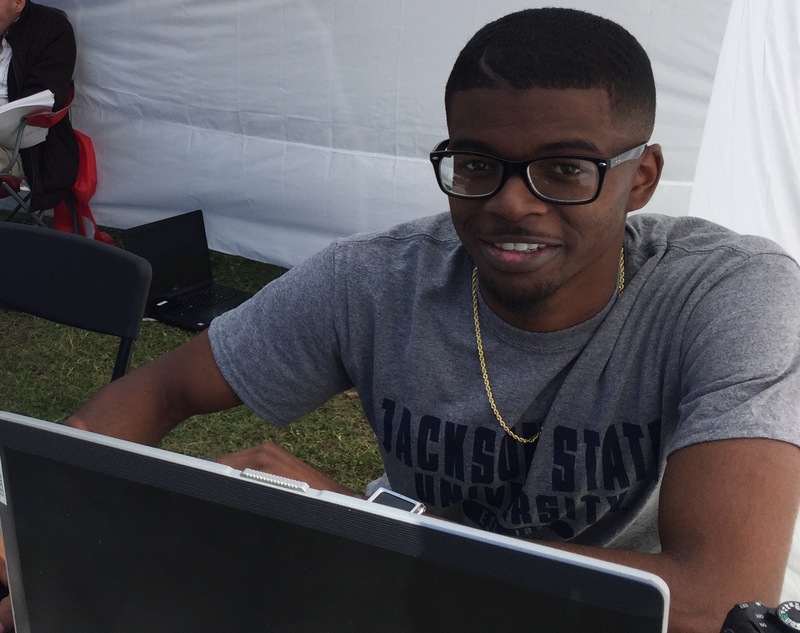 Jackson State University senior meteorology student Keon L. Gibson prepares for Monday’s solar eclipse. He’s scoping out the phenomenon in Casper Mountain, Wyoming, because it will experience a total eclipse for a brief moment. The area will allow him to improve his research into space weather and the sun’s heat-packing solar corona, which is millions of degrees hotter the sun itself. 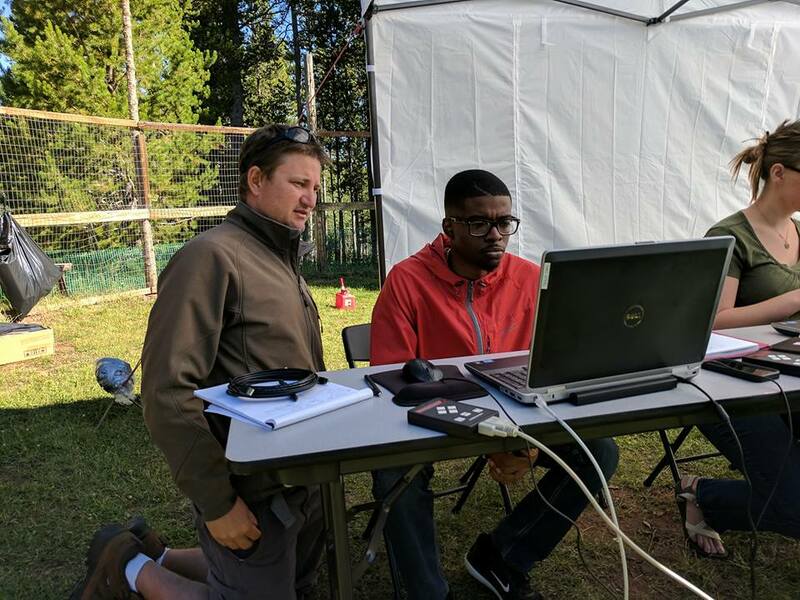 JSU meteorology student Keon L. Gibson is visiting Wyoming for Monday’s solar eclipse to measure specific emission wavelengths of the sun’s corona – which is millions of degrees hotter than the sun itself – and will use computer-controlled telescopes to study how Earth is being impacted by hazardous space weather. With telescopes set up, Gibson is ready to capture images of emission wavelengths of the solar corona in the visible range and infrared range. 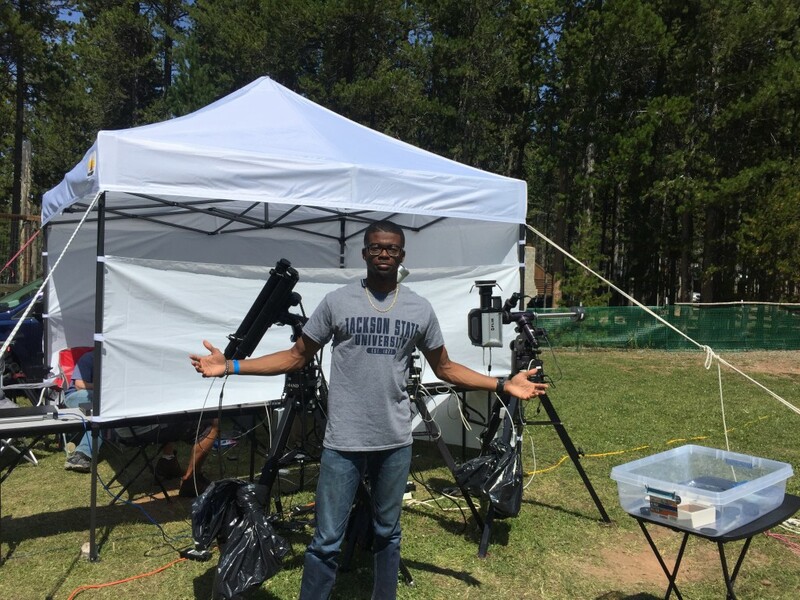 Gibson, a senior in the College of Science, Engineering and Technology, decided to visit Casper Mountain, Wyoming, because it will experience a total eclipse for slightly more than two minutes, starting at 12:42 p.m. (CDT). Jackson State University’s area will see the moon cover 83.2 percent of the sun, with the moon in the sun’s path starting at 11:54 a.m. (CDT) Monday. Reportedly, the best time to see the peak of the eclipse near JSU will be at 1:26 p.m. 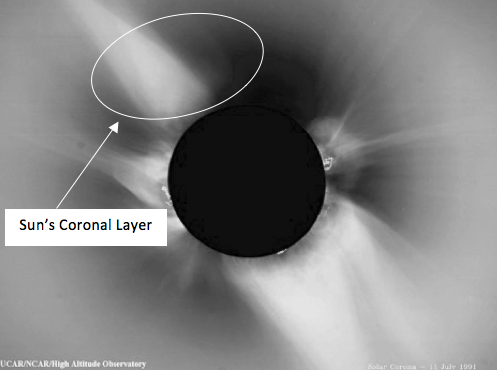 The mystery of the sun’s 865,000-mile ball of gas and its corona has confounded researchers for many years. Monday’s phenomenal occurrence in the solar system could provide some answers about many ongoing experiments by NASA, labs and universities throughout the U.S. The event is being billed as “The Great American Eclipse” because some degree of darkness during daylight hours will streak coast to coast from western Oregon to eastern South Carolina in just over 1½ hours. So, just how is Earth’s weather apparently being impacted by the solar magnetic field? Gibson is part of the Significant Opportunities in Atmospheric Research and Science (SOARS) program, and his work is funded by the National Science Foundation. Also, he is being mentored by science researchers Scott Sewell and Steve Tomczyk, both of the High Altitude Observatory (HAO) of NCAR/UCAR in Boulder, Colorado. His writing and communications mentor is Andrea Smith of Boulder’s National Center for Atmospheric Research (NCAR)/University Corporation for Atmospheric Research (UCAR). While in Wyoming, Gibson is being assisted by several mentors from operations in Boulder, Colorado. The professionals represent the High Altitude Observatory (HAO) of NCAR/UCAR and the National Center for Atmospheric Research (NCAR)/University Corporation for Atmospheric Research (UCAR).